It’s been mentioned before in our previous London post that London is like a second home and a fabulous metropolitan with endless places to explore. However somethings and places are (don’t wanna say MUST), but definitely worth checking out. So when in London, these are some of the things we think are worth checking out. 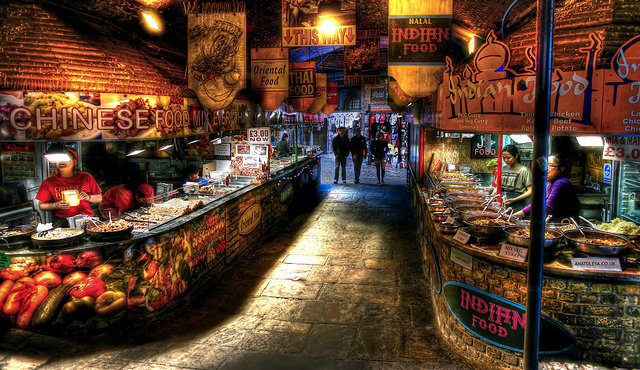 Market: Camden Market, even if not particular fan of markets, Camden is a renowned market, it’s eccentric, eclectic, urban, busy and diverse. With its laid back atmosphere, you can find all sorts of artifacts, antiques, interior, clothing…you name it. If not interested in buying anything at the Market, there are cafes and restaurants where you can enjoy a meal, afternoon tea or coffee and simply soak in the buzzing surroundings. Museums: The British museum is really just one those places you make time to visit. The museum is one of the planets largest of its kind with quite an extensive and significant historical collections from all corners of the world, so there is something for everybody. The place is huge, so it can be overwhelming and you would probably need more than one visit to get through all the collections. For Modern art – Tate Modern is always a good bet. Natural History Museum is a must even if you are not science or natural history enthusiast. This museum is world renowned with a whopping 80 million pieces you can soak your mind into. If nothing else, you will come out of the museum a little smarter than when you went in. If you have some time to kill drop by the Museum of science and Victoria and Albert museum. Areas: Instead of the grueling over crowded Oxford street/circus and Piccadilly circus, try other areas that offer the same stores and more nicer and cozy. Places like (South) Kensington, Sloane square, Knightsbridge, Kings road are all interesting and great areas for shopping, cafes and dining. Shoreditch is a uber trendy area in London and a hub for creative minds. Here you will find that it’s different from and more laid back than areas in West London. Parks: Have a picnic at James park and Hyde Park during the warmer days. Shopping: Westfield shopping centre is one of the largest shopping centres in UK, has all of the high street fashion and more.The infamous Harrods goes without saying – shopping for the well off, if not well off, it’s still worth checking out, even if your budget can only allow for a t-shirt or muffin. Selfridges, has most if not all of the high street brands and some luxury brands. New bond street an area for shopping most international luxury brands. Covent Garden, South Kensignton high street, Kings road, Sloane square are good places for shopping. Notting Hill, has many boutiques, vintage stores, market. Dining and lounging: (See also previous post). Here are some of the places we like. 1) Sketch – located in central. This interesting place has different spaces with different themes. Prices are a bit stiff, but it’s worth visiting for dinner or late drinks. Clientele is young, trendy and well dressed. 2) The Shard, Gong Bar is located close to London Bridge at the Shangri la. The bar is at the 57th floor and the view is breathtaking. You MUST book a table in advance. Prices are quite stiff, but the view is worth it. What we didn’t like, was the timeslot for window seating. When your time is up, they will ask you to leave the table (rude). And if the bar is fully booked when the timeslot is over, you will have to find somewhere else to spend the rest of your evening. 3) Hakassen, Nobu and Choco Matte are all trendy high end restaurants. Hakassen and Nobu are cantonese and japanese restaurants, pricy but food is exquisite. Choco Matte brings together japanese and purivian cultures. They also have live music make sure to check event schedule. All these places require reservations. 4) Mahiki and Roof Gardens – both are trendy places. Mahiki is a hot spot for the high-end clientele and celebrities. Roof Gardens offer live events, they have restaurant, club. Make sure to check event schedule. The garden is amazing and of course best during the warmer seasons. Make sure to register on guestlist at both these places. For Roof Gardens, go early to avoid queues, the door men there can be quite difficult and rude..
5) Patty and bun – fantastic laid back burger joint. AMAZING burgers! Ayoush, Moroccan restaurant worth checking out. They also have shisha ( hookah). Ping Pong restaurant, affordable dim sum restaurant. Entertainment: If you ever want to experience a musical, London is a good place to start. We liked the Lion King, which is a classic and the Book of mormons.